Board agenda 2017: Stop making lists! Geopolitical risks: About Trump, Brexit and another political things, changing the world. Digital Transformation: Is your corporation ready for the digital transformation? European Union (EU) audit reform: This part is exciting for european boards: Is your board ready for Audit Reform? Tax risk: About the risks, paying to much taxes. Corporate compliance and culture: How developed is your corporate culture? Talent Management: Where to find new talents? Does your corporation have a good will? Corporate social responsibility: Does your corporation meet the regulatary framework, or are you working ethical? Investor Relations: How does your corporation comunicate with its investors? This list is great work and has all the items, I would talk about, too. But I miss one (main) Topic, which has strategic implications: The relationship between all topics! When we take a look at the digital transformation, it is one of the main topics, the corrporations are concerned about. To reach new goals, they need an innovating company culture, which promotes individuals. Additionally a good failure culture would be helpful. No director is able to command creativity (They can…. but it wouldn`t help). It is only possible, to build up a correlated company culture. But there are more implications: the war for talents has already started. The companies can try, to hire them. But without the right support, the talents will not stay. So the board has two main topics in the next years to work at: to handle the techniacally tasks (like the European Union (EU) audit Reform) and helping to transform the company in this way, that we have a culture, everybody wants to stay. And this culture must be live by the top management and not to be commanded. I read often articles about the digital transformation and changes in Leadership. But why is this topic so important? In the moment, services and products are in change. 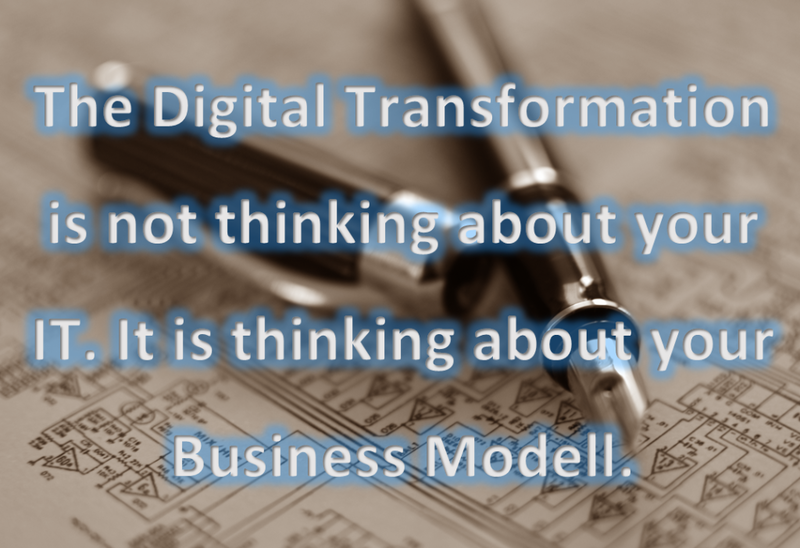 The digital transformation dominates the discussion about the future of all topics of business. Why is this important for Leadership? For understanding take a look for some newcomer: AirBnB and Uber: This companies don`t start with great techniques, Apps or Pages: They start with an idea. The services aren`t new. The ideas were bringing a value to the customers. This both companies doesn’t start with a complete new idea. They found business processes, which weren’t optimal and used them, to dig margins. No more bosses are needed: The age of Micromanagement has ended. New business models arises by creative employees. Managers but cannot command creativity. They have to install a framework, that supports new ideas. Failures are part of this new culture. This mindset has to be part of the common Leadership.